The "Doctor Helicopter" system was legalized in Japan in June 2007. A medical team is dispatched to the patients on a helicopter to provide medical care in the field as soon as possible. One day, four young physicians are assigned to this latest medical system. The doctors experience traumatic medical situations, deal with personal ambitions, witness the fragility of life, and they grow personally and professionally. Erin desyrel Aug 18 2017 4:40 am I just start watch CB season 3...can someone explain why aizawa got habit rubbing his right thumb whenever he feels something..what is the story of his habit? Is it what cause him to become such a character?? Tanaka Yuko Jun 23 2017 9:17 pm Nice story and creative plots. I like it very much! Even Tomohisa-kun played it so cool? spybubble Dec 20 2013 10:24 am The application could be placed on a lot more than one system at a time. Likewise, you can create international mobile calls quite inexpensively using Flexi - Roam. And can turn on the market are cellular phone spy software which gets that you do text spying, easily, inside a matter of minutes. sayakahikaru Mar 20 2013 7:24 am This drama is so good, its amazing the story, characters and setting was simply amazing. When watching it i thought that i didnt like where it was set however each episode kept drawing me in and its so addicting to watch. There are so much lessons the drama presents and the heartwarming care of the doctors. After watching this i actually wanted to try becoming a doctor. This drama is simply amazing! CodeBlue!! Dec 26 2011 7:31 pm Almost every episode I cried. Even in season 2. Highly recommended!! anyeeM229 Aug 26 2011 4:59 pm yamashita + aragaki + toda in the same drama! anyeeM229 Aug 19 2011 7:59 pm touching moments that do not involve male-female love makes me cry the most. that's why i love this drama a lot. the love line is almost non-existent, but the plot made up for it with a new touching story and meaningful lesson in almost every episode. Firefighter drama is good too! 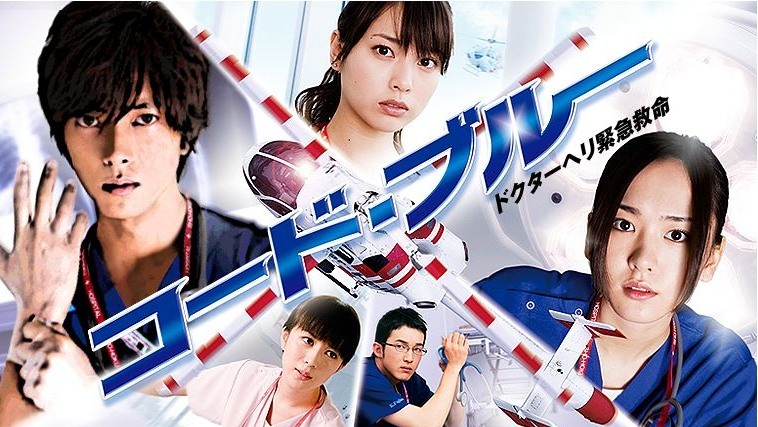 May 26 2010 9:46 pm If ya love this drama, try J-drama "RESCUE"
janet Mar 19 2010 11:14 pm This is a good medical related drama to watch!! The scenes are so real!! The actors are also good-looking and excellent. So impressive! caterpillar Dec 03 2009 12:54 pm This is really a good movie!!! LOVE Yamapi!! love the whole plot~~ After watching this drama, i just love my soon-to-be job more n more!! Thanks to Code blue! Lenya Aug 11 2009 9:58 am Really good!! I recommend it. There are excellent actors ( toda erika, aragaki yui and YamaP ) and well....they are all good on their roles.